Strip 862 - Click on page above to goto the next page. 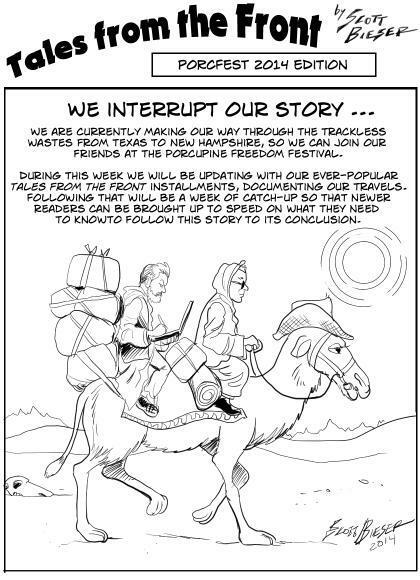 We interrupt our story so we can attend Porcupine Freedom Festival. The story will resume on July 7.